Camden bed and breakfast travel guide for romantic, historic and adventure b&b's. 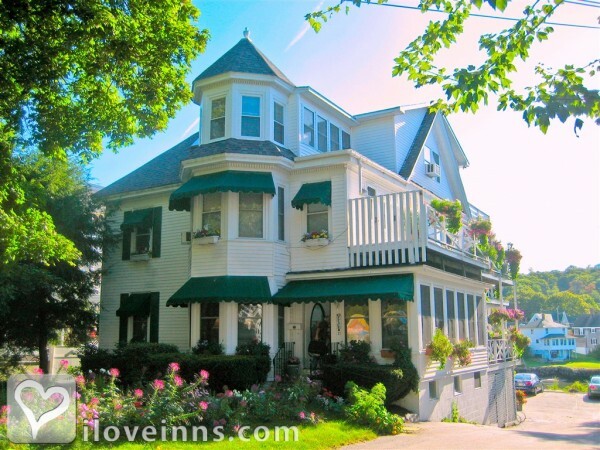 Browse through the iLoveInns.com database of Camden, Maine bed and breakfasts and country inns to find detailed listings that include room rates, special deals and area activities. You can click on the 'check rates and availability' button to contact the innkeeper. The beautiful town of Camden in Maine is "where the mountains meet the sea." Offering a wide range of recreation, shopping, historical interest, arts and culture as well as great dining, the lovely town of Camden is an inviting vacation spot. Camden Harbor hosts the Windjammer Festival every September. Select a Camden bed and breakfast inn with a view of the water. This location is ideal for experiencing all of midcoast Maine. By The Inn at Sunrise Point.